I didn’t read this book with the intention of writing about it. 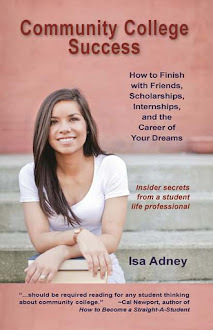 Most book reviews I’ve done for you are specifically for college success. 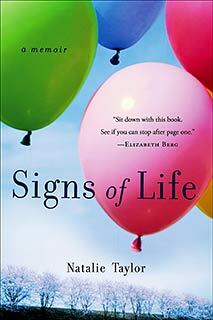 Signs of Life by Natalie Taylor was originally a book I picked up just for me. A memoir – my favorite (for those of you who might not be a library-obsessed book lover like me, a memoir reads like a novel but is a true story of the author’s life). But upon turning the last pages of that book just a few minutes ago, I felt compelled to open up my laptop (late at night) and share this book with you. I just can’t keep it to myself; Natalie also sheds light on many of the themes at the heart of why I love community college students so much. Signs of Life chronicles Natalie’s experience losing her husband to a carve boarding accident when she was twenty-four-years-old and 5-months pregnant with their son. When I first read that on the back of the book my heart sank. I am twenty-four, I thought. This isn’t supposed to happen to twenty-four year olds. Once I read the book I also noticed that she and her husband got married on the exact same day, to the year, that I got married. This book takes you to the depths of Natalie’s aching and incomprehensible loss. The memoir was built from her actual diary entries, and there are many moments where it is so, so very raw. It physically hurts to read at times because it is so honest, and that is what makes it, to my mind, such a brilliant book and Natalie, a truly talented writer. What is most surprising about the book is that, despite it’s heart-wrenching topic, it’s not actually what I would classify a “sad” book. Natalie brings lightness and a humor when you least expect it (she has a down-to-earth made-up Fairy Mom Godmother that helps her survive as a new mom that is brilliantly, laugh-out-loud, funny), and she takes the reader through her grief process with entertaining anecdotes and insights from her profession as a high school English teacher. The moments she has with her students and the new ways in which she relates to them after going through such an intense hardship herself is incredible. She reads and teaches Gatsby in a new way. Kafka’s Metamorphis. Macbeth. Of Mice and Men. Grapes of Wrath. The Catcher in the Rye. As a self-proclaimed HS English nerd, I fell in love with this. There is a moment in class where Natalie has her students practice how to create an outline using an article about how and why teens succeed (and don’t succeed) in high school. One aspect of the article troubles the students: the author said research found that “low-income students were statistically low achievers because they get to school with a lower vocabulary than their higher-achieving, higher income peers” (p.79). Their hands shoot up and Natalie has, what I would like to call because I’m super-into Boy Meets World right now, a Feeny moment (though Natalie has more of that young-teacher-Mr.Turner kind of vibe). All of the students are engaged in one of those rare moments in high school when you are really mulling over information that strikes a chord – and you really want to figure it out. The students debate on whether where you come from and the circumstances you are born into effect your opportunities, in essence, effect your American Dream. Natalie blows me away in the way she handles this classroom experience. She facilitates the students to debate, draw their own conclusions, and come into their own understanding, many for the first time, about social class and opportunity. Natalie could sense some students were really troubled by this statistic, and seemed to be wondering if they would really be able to succeed, or if their background already doomed them, no matter how hard they tried. 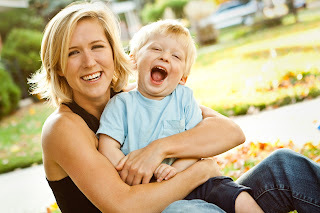 The conversation evolves into the statistics of success if grow up with only one parent. Natalie could obviously relate. This theme of how your circumstances – especially those you did not choose – affect your future is poignantly threaded throughout this book. And it made me think about you. Because as the tagline of this blog says, going to community college doesn’t mean you couldn’t get in anywhere else. The stigma is just wrong. Going to community college may mean you had some unfair circumstances stacked up against you. But going to community college means you’re still going. You’re still moving. And nothing is going to stop you. That is what Natalie inspires in this book, and I highly recommend it. 1 -“I’ve reached a place where I can say that grief is not about recovery or resolution or being fully healed. It’s about living without someone, but still embracing life. It’s about understanding that time is not as linear as we thought, but perhaps it’s more like laying pictures one on top of another” (p.305). 2- Natalie was an athlete. A year after her husband died she competed in a triathlon and, while running thought to herself, “I thought this part of me was dead. I am so happy to know it isn’t. I guess it was just dormant. And dormant and dead are two very different things” (p.301). Never be afraid to unleash parts of you that time makes dormant. Never be afraid to defy the odds. And never underestimate the power of connecting with a brilliant book. There is nothing like it. Taylor, N. (2012). Signs of life: a memoir. New York: Broadway Paperbacks.